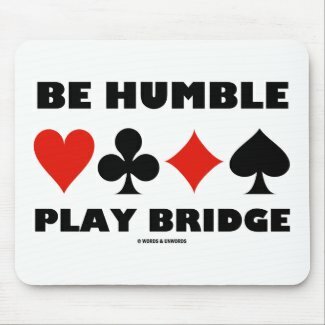 Bridge humor and advice is alive and well on any of these gifts featuring the four card suits along with the truism saying "Be Humble Play Bridge". 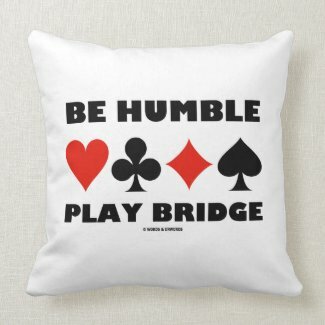 No need to be a bridge teacher or avid bridge player to enjoy the game of bridge and the lessons that it teaches! 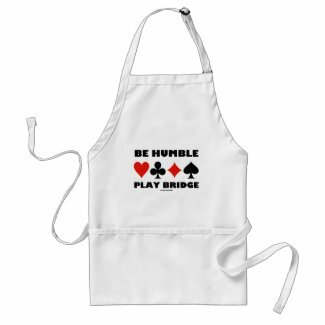 Memorable gifts for anyone who has gone down 1400 or 2200 at the bridge table. 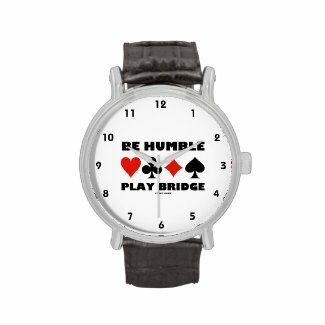 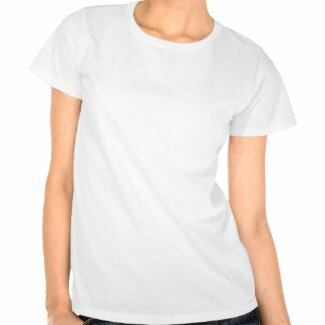 Shop for other puzzle designs. 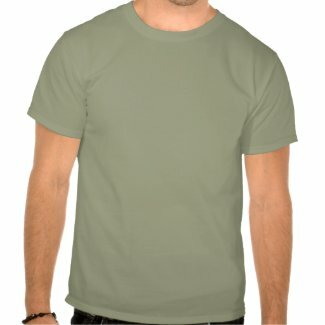 Make your own Christmas ornaments online. 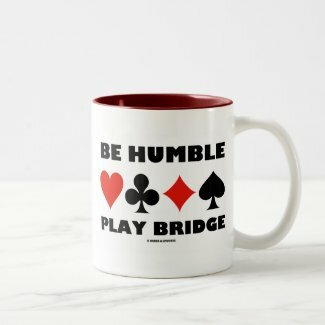 Browse Zazzle for a different candy jar.